Can I pay you for a copy ? From the book “Dnyevniki Impyeratritsy Marii Fyedorovny” (Diaries of the Empress Maria Feodorovna); I translated these excerpts using Google translator, so, I apologize in advance for the mistakes…Excerpts found in a Russian website. We all went to the Anglican Church today. 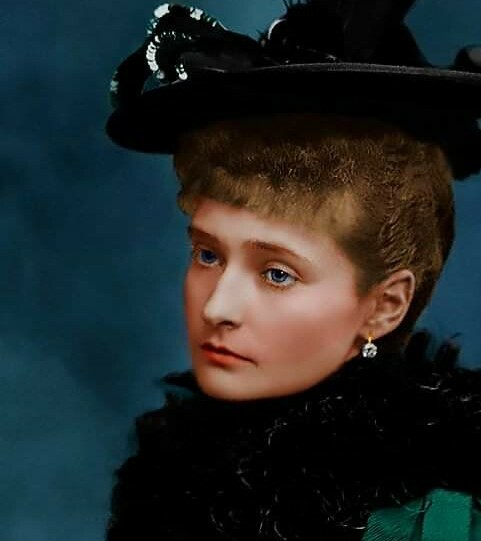 While having tea, a dreadful news arrived: the Archduke Franz Ferdinand and his wife were assassinated in Bosnia. How cruel! Thank God that in dying, they were together. At seven o’clock, we went to Komb for breakfast. Soon came Chaliapin, who sang wonderfully. Paul Benckendorff visited me after having a long break. We were both in despair at the terrible message from the front and other things that happen and are being talked about. Firstly, the evil Grigori returned, and that Alexandra Feodorovna wants Nicky to take the command instead of Nicholas Nikolaevich; she must be crazy to want this! Yusupov came after dinner, telling all sorts of horrors which are spoken around the city. Nicky came with his four girls. He began to speak that he will assume command instead of Nikolasha. I was so horrified that I almost had a stroke…I begged him not to do so, especially now that things are bad for us, and added that if he does, everyone will see that this was ordered by Rasputin…He does not understand the danger and misery it can bring us and the whole country. Marie Feodorvna Letters to Prince Nikita, 1920-21. We have just acquired four handwritten letters written by Marie Feodorovna to her grandson Prince Nikita Alexandrovich from Denmark. Nikita was one of the sons of GD Xenia and GD Alexander Michaelovich, who left on the HMS Marlborough. I have put up scans of the originals in (mostly) Russian and English translations. Her Russian cursive is, while pretty to look at, apparently very difficult for modern Russians to read! If anyone can read them and improve the translations, please don't hesitate to email me. The Russians who translated what we have both said they had to make some guesses about some of the words. They are an interesting read, sweet yet sad, of a grieving Grandmother taking some joy in what family she has left. 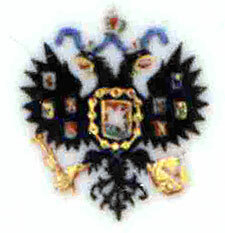 Re: Marie Feodorvna Letters to Prince Nikita, 1920-21. Interesting that Marie F was full of grandmotherly devotion towards Tikhon and Guri when her relations with their father were somewhat strained. Not too hard to understand. She felt he wasn't good enough for her daughter. Yet Nikolai Koulikovsky was a decent man and good soldier. The only problem was that he wasn't royal. Yes. That makes all the difference in her eyes. She wasn't too keen on Misha's widow for the same reason. Empress Maria's amusing letters about food to Emperor Alexander III of Schloss Rumpenheim in Germany! There is something rather Atlantic about the exterior look of Rumpenheim, especially Dutch (e.g. Soestdijk Palace) or Colonial American. Rumpenheim, originally a part of the County of Hanau, was the only Hesse-Cassel possession south of the river Main, which is a kind of German Mason-Dixon line. When Prussia annexed all of Hesse-Cassel north of the Main, territorial sovereignty of Rumpenheim was ceded to Hesse-Darmstadt. Soestdijk Palace was given to Prince William of Orange and when he and his wife the former Grand Duchess Anna Pavlovna moved there permanently in 1831, she copied the design of the gardens at Pavlovsk. I believe she also redesigned the palace as it looks like her beloved childhood home Pavlovsk Palace. Apparantly it's the wings of Soestdijk that are inspired by Pavlovsk, which interestingly enough was built by an "Atlantic" (Scottish) architect (Charles Cameron) in the Neo-Classical Palladian style. But it's no doubt the dark-coloured shutters of these buitenplatsen (summer residences) contrasting with the white walls on a rather top-heavy square form that make up a distinct Atlantic / Colonial feature of these buildings. Even though shutters also are typically Mediterranean feature, they are certainly not Russian.